As expected, the Canadian junior team overwhelmed Slovakia 6-0 to open the 2018 IIHF world under-20 championship with back-to-back wins. 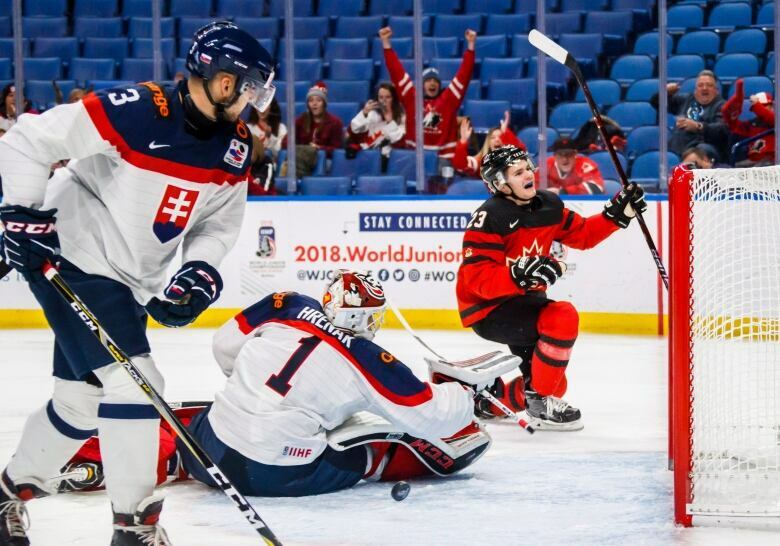 But the lack of attendance has overshadowed the second world juniors in Buffalo, N.Y.
As expected, the Canadian junior team overwhelmed Slovakia 6-0 to open the 2018 IIHF world under-20 championship with back-to-back wins in Buffalo, N.Y. The victory on Wednesday evening was stress-free, especially after Rhonda and John Bean watched from the stands as their son Jake Bean returned to action in the second period following a violent collision into the end boards in the first period. Bean, a defenceman from Calgary (his dad is the Calgary Flames' chief operating officer), was knocked off balance a few feet from the boards. The brutal spill forced the Carolina Hurricanes' prospect to the dressing room for the remainder of the first period and he missed the first few shifts of the middle 20 minutes. But Bean finished the game in a strong manner. This was an important development because Canada already was down a defender with Kale Clague of Lloydminster, Alta., unavailable. He sat out the game against Slovakia after he blocked a shot with his right leg in the opening 4-2 win against Finland on Tuesday. Nevertheless, with all this drama behind the Canadian teenagers, it's on to the next chapter of this tournament and the outdoor game against the rival United States on Friday afternoon at New Era Field, home of the NFL's Buffalo Bills. Whether or not this clash happens between two of the tournament favourites will be a big story on Thursday. The weather always is a concern in Buffalo and it's no different for this first outdoor game in the 41-year history of the world junior championship. The forecast calls for flurries and a frigid temperature of minus-8 C, with a wind chill that will make it feel more like minus-13. With a day off on Wednesday, the U.S. juniors layered up and practised outdoors to get used to the conditions at New Era Field. The Canadians will take their turn on Thursday. The football stadium needs some work to be ready for Friday's game. Organizers have put out a call for volunteers, offering to pay those who bring their own shovels $11 US an hour to help dig out the snow-covered stands on Wednesday. Maybe members of the shovel brigade should also be given free tickets to the game. After two days, the lack of attendance has overshadowed the second world juniors in Buffalo. The first time upstate New York played host to the event was seven years ago. It was a huge success as games involving Canada saw an average crowd of 17,671, while the host U.S. team played in front of 15,323 fans per game. But this time — through two days — the fans have stayed away. There are many reasons. The ticket prices were set high, between $30 and $110 for games inside the KeyBank Center, and $55 to $137 for the outdoor spectacle. The last time the world juniors were held in Buffalo (in 2011) Canadian fans from Southern Ontario flocked across the border to cheer on their boys. But since Montreal and Toronto shared the 2015 and 2017 editions, things have changed. Interest waned in both cities last year as evident from all the empty seats in the Air Canada Centre for the preliminary round and the Bell Centre for the playoff round. This was partly because of market fatigue as well as soaring ticket prices. Buffalo has also suffered thanks to the same issues. Toss in the harsh weather and a lower Canadian dollar than seven years ago, and it all adds up to why Canadians have chosen to stay away. The home of the Buffalo Sabres has a capacity of 18,690. For Canada's 4-2 win against Finland on Tuesday, there was an announced crowd of 9,552, about 2,345 more than the U.S. had for its opener against Denmark a few hours later. On Wednesday, the Canadian game only brought in an announced gathering of 7,834. 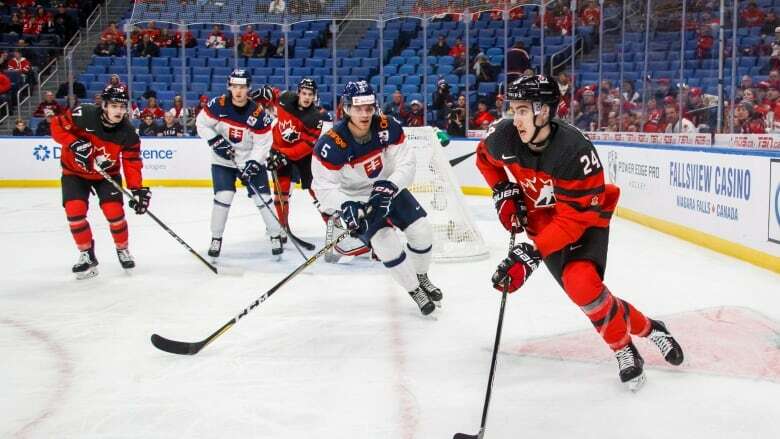 There's still plenty of hockey to play over the next eight days and the medal round next week, but unlike Canada's impressive start in Buffalo, the lack of interest in upstate New York has been an early tournament downer. 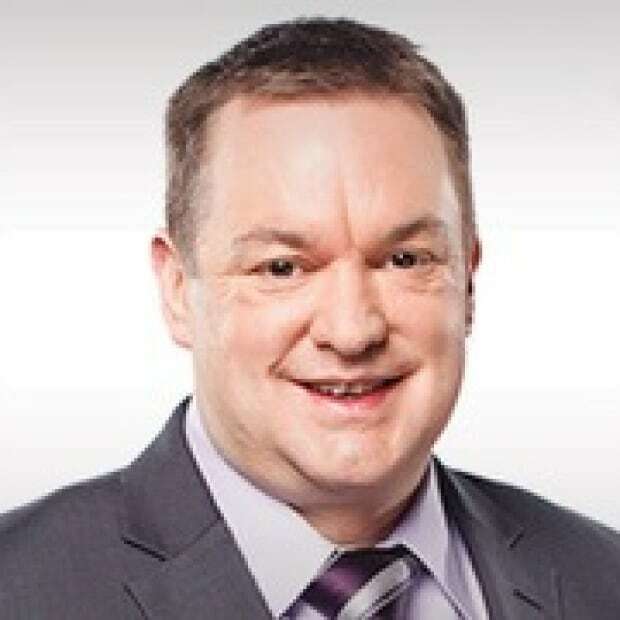 Tim has covered the hockey landscape and other sports in Canada for more than 25 years for CBC Sports, the Globe and Mail and Toronto Sun. He has been to three Winter Olympics, 11 Stanley Cups, a world championship as well as 17 world junior championships, 13 Memorial Cups and 13 University Cups. The native of Waterloo, Ont., always has his eye out for an underdog story.